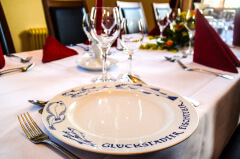 Get a first insight into our restaurant. 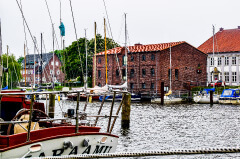 The lovely view of the inland port is only half as stunning in the pictures however. 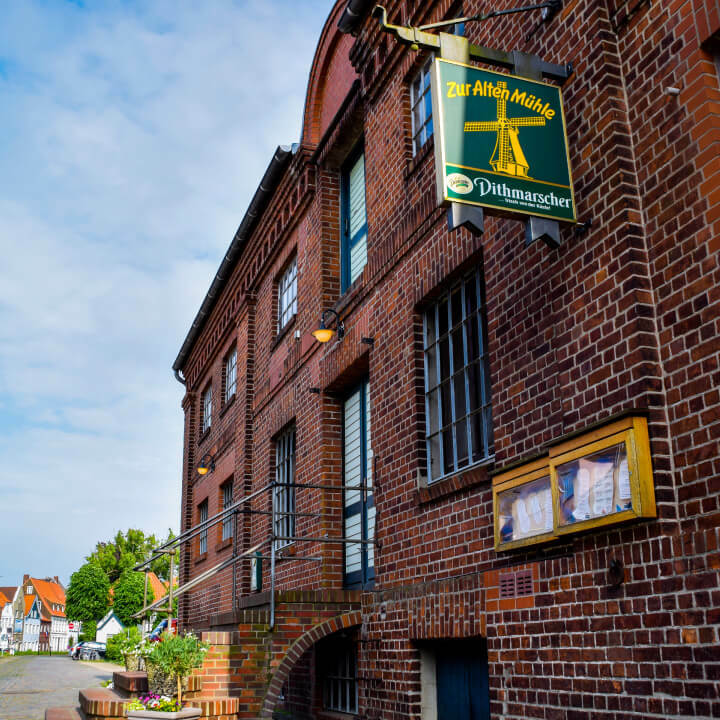 Enough reasons to come over and enjoy the flair of the Restaurant “Zur alten Mühle”. 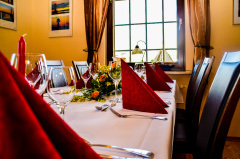 We are looking forward to cooking for you soon. 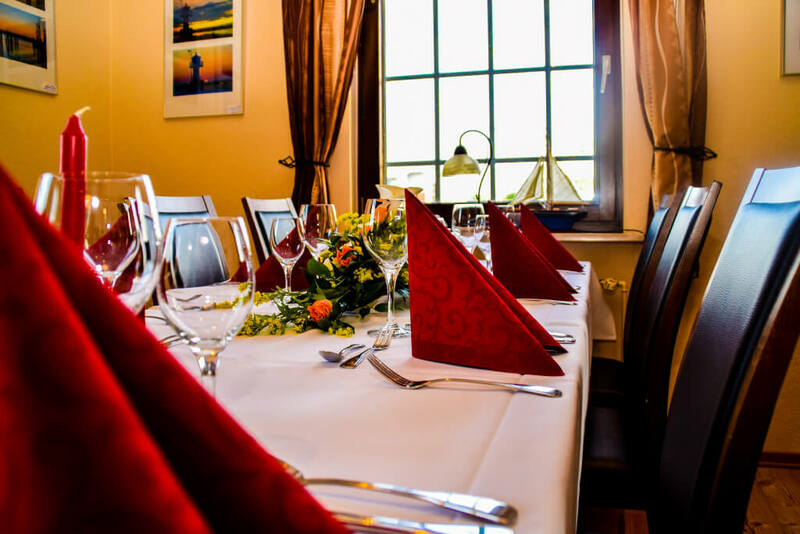 If you are planning a party or are interested in our delivery service, we will discuss everything with you individually. Ihr Browser unterstützt das angebotene Videoformat nicht. 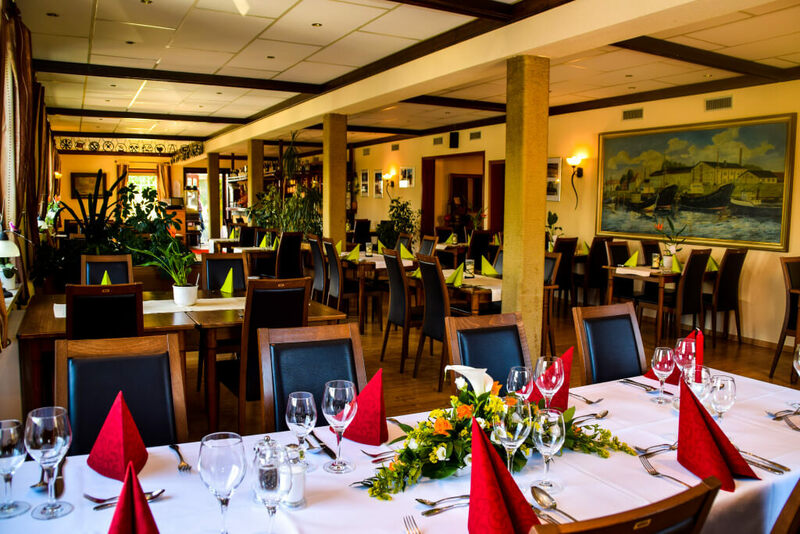 Allow yourself to be convinced of the extraordinary atmosphere of our restaurant. 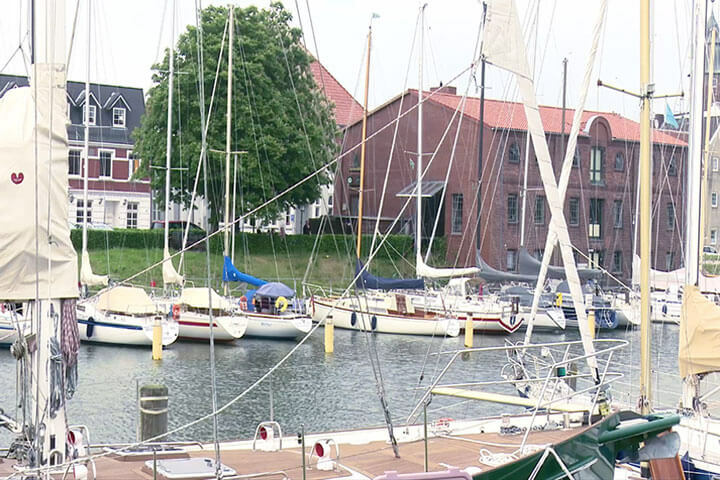 Here are some of our pictures that show you the Nordic flair you will experience. 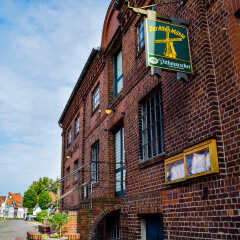 Entrance of the restaurant „Zur alten Mühle“ in Glückstadt.. 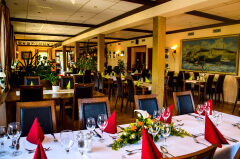 The dining area at the restaurant offers lots of space in an appealing atmosphere. 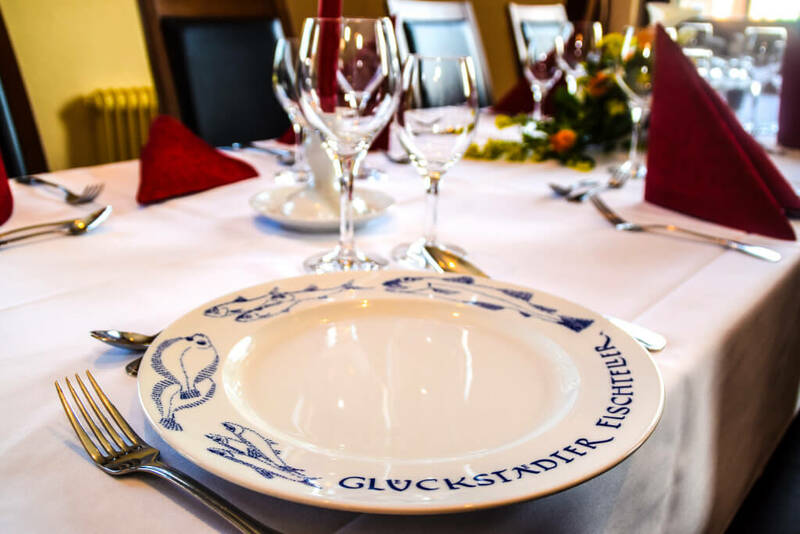 Enjoy Glückstadt’s matie specialties at the restaurant “Zur alten Mühle“. 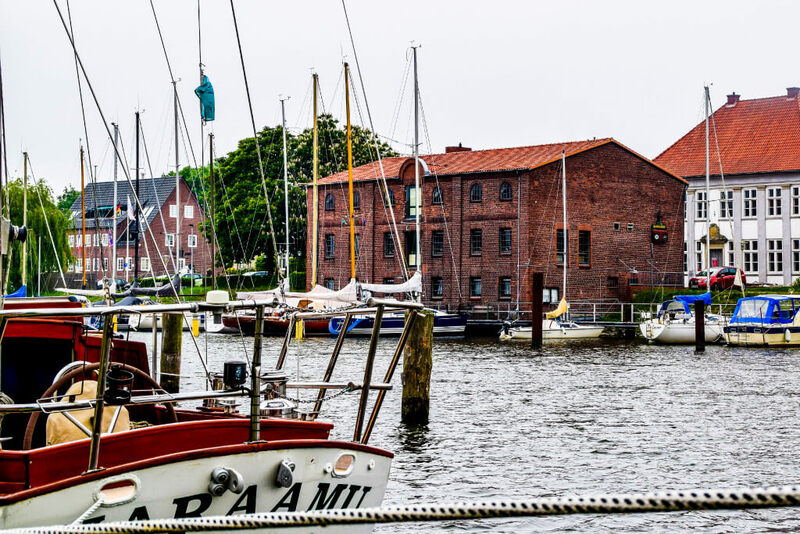 Our restaurant is located directly at the waterfront of Glückstadt’s inland port. Lean back and enjoy culinary fish-specialties created by our chefs.